This company is looking for quality customers, not volume of customers. It was very refreshing to hear SFIX say they were going for quality, not quantity. 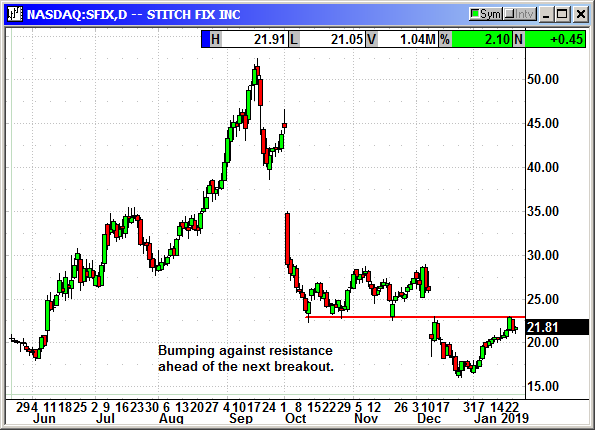 Buy SFIX shares, currently $21.81, stop loss $19.92. Optional: Buy March $23 call, currently $1.95, stop loss $19.50.